This squeegee will speed up your cleaning with its fast, streak-free drying of windows, tiled surfaces, shower screens and walls. The soft, bulbous non-slip handle is a joy to use, even when wet, and the flexible rubber blade cleans flat and curved surfaces. Suction hook included for easy storage. "Use the OXO Good Grips Household Squeegee to clean tiled surfaces, fogged mirrors, soapy shower doors, and of course, windows. 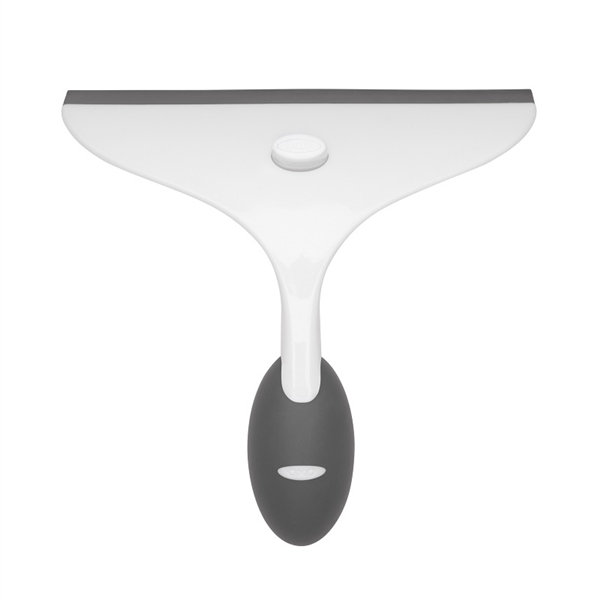 The flexible blade on our Squeegee can be used on rippled surfaces, while the soft, comfortable egg-shaped handle nestles perfectly in the palm of your hand without slipping. When you’re finished, hang the Squeegee up on the included suction cup hanger. " Excellent product. I now have one in each bathroom. Easily the best shower squeegee we've ever found - excellent! Love this squeegee. Ive put them in all tge showers. Leaves no streaks. Makes cleaning the glass shower panels so much easier. Yes these are a joy to use - all I need to do now is to get the guests to use them after they have their showers!! The only downside is that the suction pad to keep the squeegee on the wall does not seem to stay in place very well. What makes Out of Eden so different?